We begin by congratulating Vaughn Stewart, the only candidate in the country we’re aware of who publicly called out Monsanto during his campaign—and with good reason. Vaughn won! He’ll join the Maryland House of Delegates representing District 19. We also had a few big wins for regeneration statewide in Colorado, Connecticut and Hawaii. Coloradans tapped Jared Polis as their next governor. Polis leaves Congress with a great voting record on health, justice and regenerative organic food and farming. Polis has been a champion for the climate, for labels on foods produced with genetically modified organisms (GMOs), for industrial hemp and raw milk, for animal welfare, for organic food & farming, for pollinators, for integrative health and wellness, and for the regulation of agricultural chemicals. Dr. Josh Green is Hawaii’s Lieutenant-Governor-Elect. In “Dr. Josh Green's Prescription for a Better Future,” Green’s top-10 list of policies designed to strengthen and support Hawaii families, he includes "stronger pesticide restrictions and GMO labeling." Could Congress be headed for a #GreenNewDeal? Ocasio-Cortez is pushing for a #GreenNewDeal that would decarbonize manufacturing, agriculture and other industries, and fund a massive investment in the drawdown of greenhouse gases. Read her proposal for a Select Committee on a Green New Deal. Then, call your Congress members and ask them to endorse this proposal. • Pass legislation that protects Minnesota's pollinators. 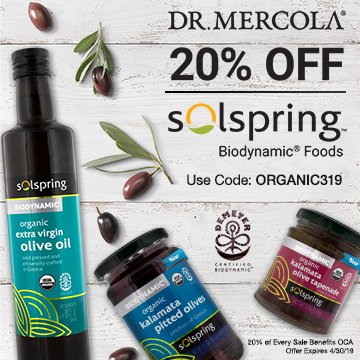 • Support organic and sustainable agriculture and horticultural practices. • Eliminate factory farming of livestock. • Increase funding for urban farming. • Promote good energy and natural resource conservation practices. • Protect our small and medium-sized farms and the farming industry while also building out the necessary regional infrastructure to ensure that our farmers are able to have access to the $6 billion dollars of unmet demand for local and organically grown food in New York City. • Conserve and protect our environment, provide access to credit and business training for small rural farms, invest in preparing the next generation of farmers in our community, and fund programs like SNAP and those incentivizing purchases at local farmers markets. Those are just a few of the CRL-endorsed candidates who won their races. To see all of the 2018 general election candidates we endorsed, and find out how they did in the November elections, please check out Citizen Regeneration Lobby’s candidates page. Our favorite ballot initiative win happened in Portland, Oregon, where voters approved the Portland Clean Energy Initiative. Portland’s vote proves that localities can take meaningful action to decrease carbon emissions and realize the economic, social and environmental benefits of transitioning away from fossil fuels. As Fast Company put it, “Portland could make big businesses pay to protect communities of color from climate change.” And, it did! Measure 26-201 is the first environmental initiative in history created and led by communities of color, including Asian Pacific American Network of Oregon, Coalition of Communities of Color, NAACP Portland Branch 1120, Native American Youth & Family Center, OPAL/Environmental Justice Oregon, and Verde. In 2017, Portland pledged to transition to 100-percent clean energy by 2050 (electricity from renewable sources by 2035, and all remaining energy from renewables by 2050). That changed on November 6, when voters passed the Portland Clean Energy Initiative. The initiative creates a 1-percent business license surcharge on large retail operations with more than $1 billion in previous annual national sales and $500,000 in annual sales within the city of Portland. The initiative will raise over $30 million annually. According to news reports, a portion of the money would be used for regenerative agriculture projects that sequester greenhouse gases and support local food production. A significant chunk of the money generated by the Portland Clean Energy Initiative will also be used for renewable energy and energy efficiency projects, with a focus on projects that benefit low-income people and communities of color. To see all of the 2018 candidates and ballot initiatives we endorsed, and find out how they did, check out Citizen Regeneration Lobby’s 2018 elections page. Were you inspired by any winning candidates or initiatives in the November 2018 elections? Let us know by emailing info@citizensregenerationlobby.org. Alexis Baden-Mayer is political director for the Organic Consumers Association and its 501(c)(4) lobbying arm, Citizens Regeneration Lobby. Keep up with news on food, agriculture and environment issues by subscribing to OCA’s online newsletter.